I”d like to try out different styles and have a certain image of a woman in my mind when getting dressed. Today I could see myself on a ranch in Argentina getting ready for a polo game. But instead, I got in my car and drove to work… I called this stylecard “Lauren”, because the style is very much Ralph Lauren. 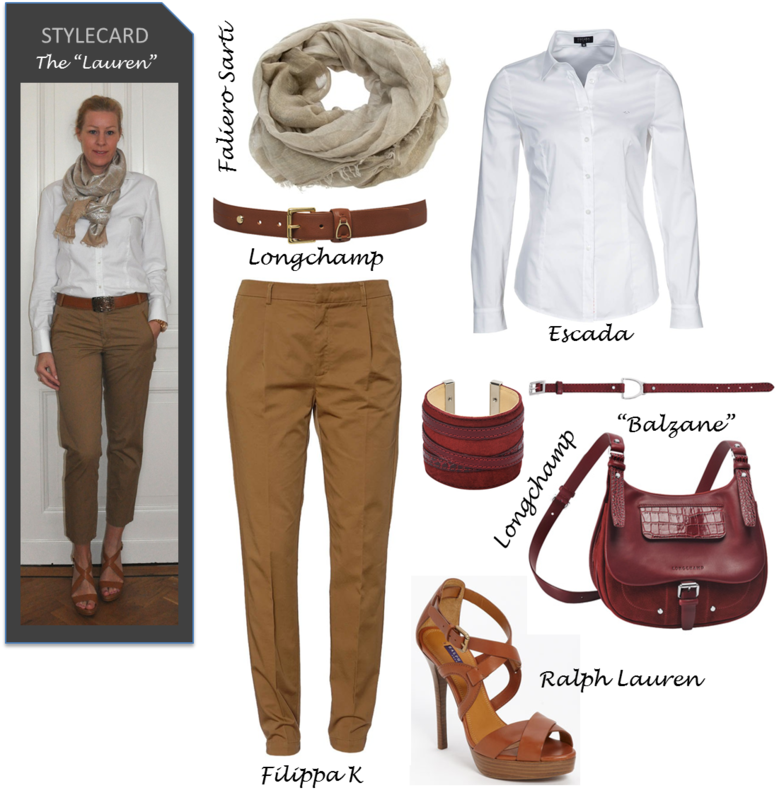 This entry was posted in Fashion, Stylecard and tagged Longchamp, Ralph Lauren, Stylecard by sofischoice. Bookmark the permalink.